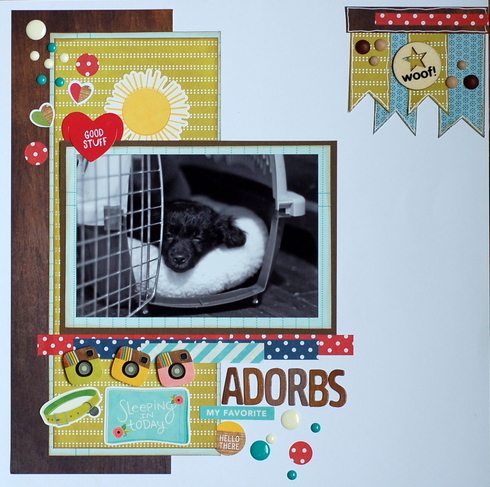 Last layout from the scrap weekend with the girls! For inspiration, I scraplifted a layout I had pinned from Pinterest. Its a doggie page, and usually I would use my doggie pics, but I really really loved the design! 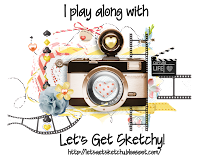 I really loved the scalloped circles behind the photo – really allowed me to use up those scraps! Swapped out the ribbon/bow with layered chipboard/die cuts. 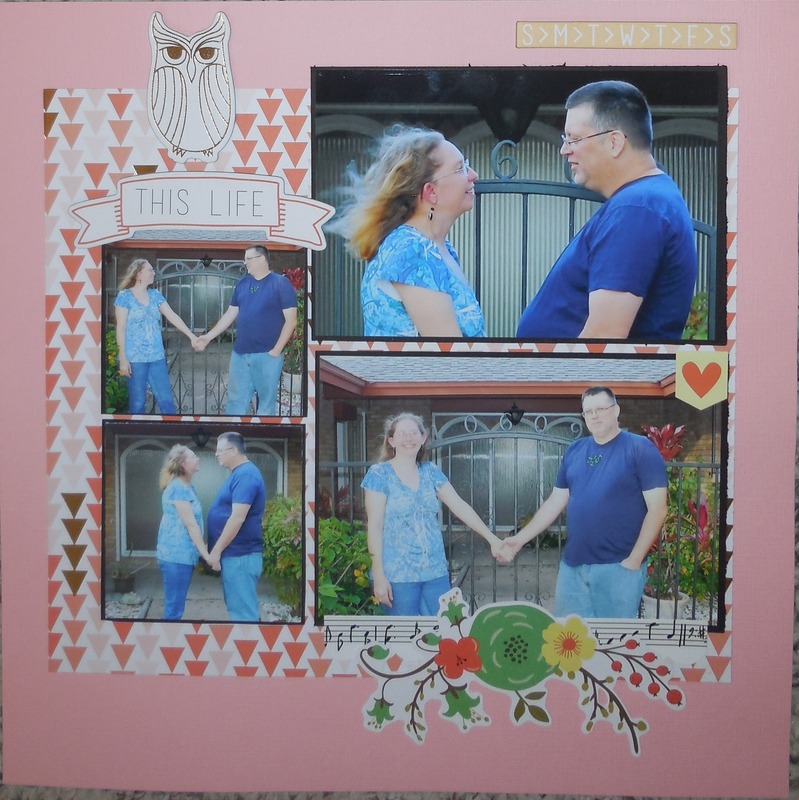 This layout is based on a scraplift challenge over at ACOT. 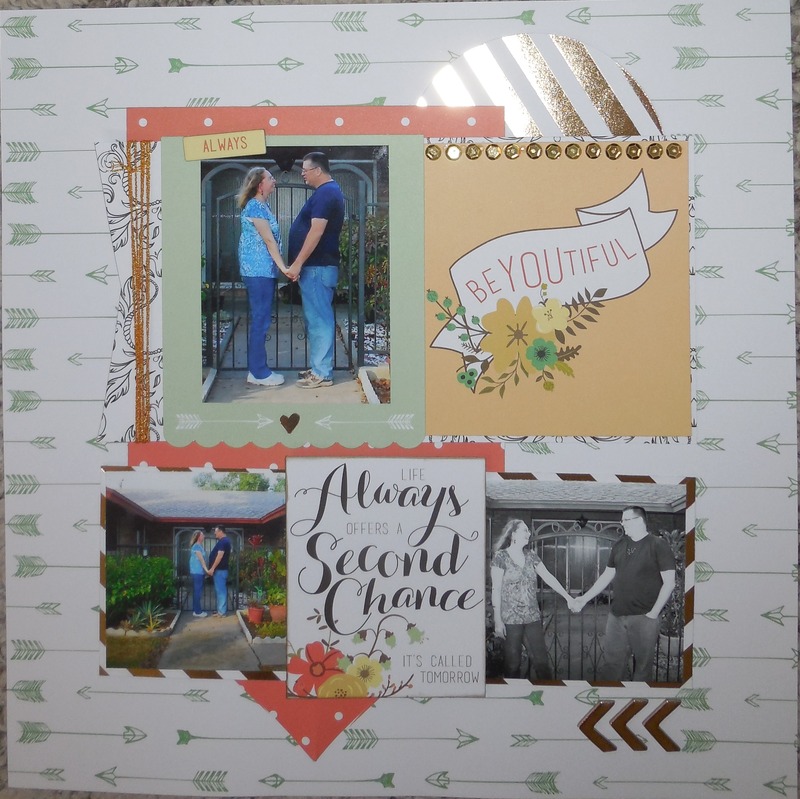 Each month there is a Guest Designer and not only does she offer challenges, but we have a Scraplift the GD Challenge. Last month, Sara was the GD. 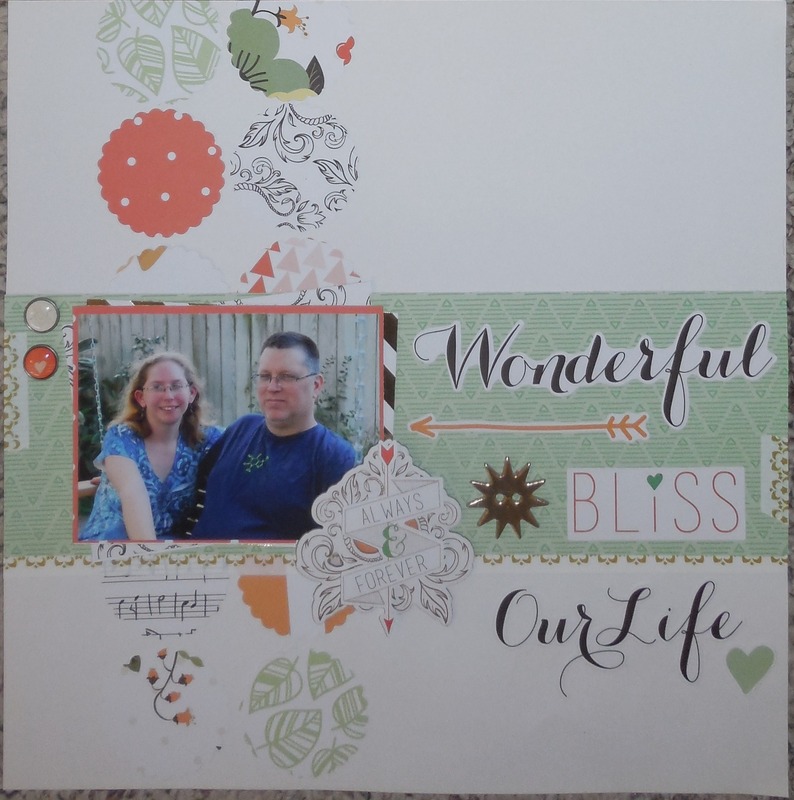 I am a HUGE fan of her work, so I decided to scraplift her “Adorbs” layout. I might continue to do more work on my layout – I think I should put something in the upper right hand corner. Mine looks empty. 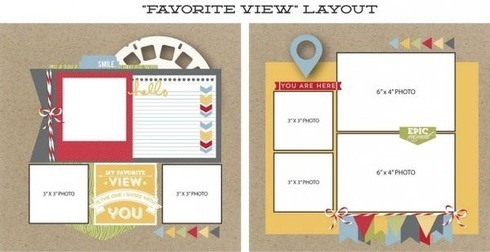 My next 2 layouts are based on the Seems Sketchy Challenge. They are 2 separate sketches – they can be 2 one page layouts, or a 2 page spread. I went the first route and created 2 separate pages. Again, I used Teresa Collins “Nine & Co.” collection for everything, with the exception of solid cardstock (Bazzill) and the glittered floss (WRMKs).